@ALSM, I agree with you that rising to FL 41000 ft in order to induce hypoxia faster doesn’t make sense. I also agree that if whoever piloted the plane when it went dark wanted to kill the passengers, he would’ve done so shortly after IGARI. There would’ve been no reason to put it off and risk intervention by crew members or passengers. So which of these two views did you NOT in fact hold 11 months ago? @ALSM, I just realized that there might’ve been a very good reason to wait with incapacitating crew and passengers until after the plane was out of radar reach: If really one of the pilots took the plane for whatever reason he might’ve wanted to wait with such a drastic and irreversible action until he was sure that he wouldn’t get caught and intercepted and forced down with a plane full of dead people. RetiredF4 made a good case that the first leg after the turnaround could still be interpreted as the action of a pilot who had reacted out of an emergency and who tried to reach an airport. But again, to accelerate hypoxia by going to FL 41000 feet doesn’t make sense. If the plane really went up there must’ve been another reason for this. @Victor & Dennis: attempts to apply forensic science–whether biological or metallurgical–to determine the length of time of saltwater immersion are of academic interest only. We know exactly when the parts were immersed: 24 months ago. The only question is how long have the objects been laying around on the beach, which is immaterial. Moreover, any estimates will be uncertain surmises subject to interpretation. It is an interesting intellectual puzzle, to be sure; but the true value is that MH370 is a natural “experiment” that can be used to calibrate dating techniques–or, more likely, demonstrate how unreliable such techniques are. Cf. The Illusion of Technique. 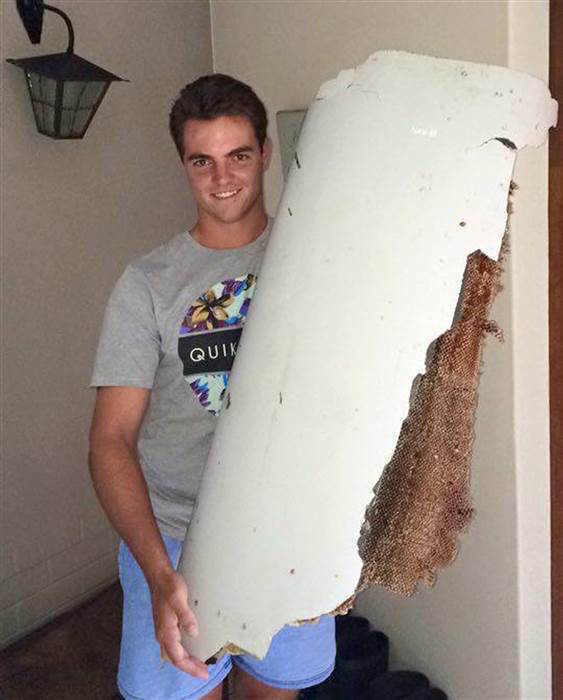 Assuming the debris is from 9M-MRO, and I suspect it is, the location is unfortunate since there is not enough dispersion from the flaperon location to materially effect the drift conclusions. If the forensics do not support the requisite exposure time that would be troublesome. Having a residence on the beach gives one an appreciation for the corrosive effects of seawater just by being in proximity to it. I have to move things with hydraulic tubes such as log splitters and tractors to my ranch to prevent the tubes (and many other exposed parts from becoming pitted). A metallurgist could say something about how long the parts were in proximity to the sea whether or not they were immersed or lying on the beach. If the answer is less than twelve months I would have to rethink the entire episode. @Warren Platts: Yes, the metallurgical analysis is a complete waste of time if you have already made up your mind as you have. Some of us are actually interested in whether the evidence supports the present narrative. Agree. But where is the cloud of floating debris from MH370 in such a case? Can you kindly point out to ALSM’s post you are referring to? I think you misunderstood something. I concur with Dennis. Bathy survey was done only for supportive reasons. You can check ATSB site for resolutions and methodology. No, it is not possible in principle to “add software”. And for what? Bathy survey was not indended to detect the aircraft or its fragments. I am trying to contribute something useful here. It seems you have a different agenda. The two quotes you attribute to me appear to be made up by you. They are not words I ever wrote and I believe you know that. How could I have possibly made any statement 11 months ago comparing FZ981 and MH370? No one here ever heard about FZ981 until yesterday. As for the substance of my discussion today, I was trying to help others understand the facts about O2 and ToUC. There has been far too much time wasted here speculating about climbs to hasten hypoxia. It seems others here do understand the facts now and agree it makes no sense to increase altitude to hasten hypoxia. My sense is that some others here appreciate that clarification. As for my true position on debris and search strategy, my position 11 months ago was then, and remains today, consistent. It is very likely that MH370 is close to the 7th arc for all the science based reasons I have discussed here many times. If the plane is not found close to the 7th arc after a thorough search, only then should the search area be extended outward, consistent with the alternative, but unlikely theory of a piloted glide. But let me be clear. The search has not been through enough yet. They have not even covered 100% of the identified area for the first time yet. And some of the area already covered was not covered adequately given the underwater terrain. Thus, as of today, it remains more likely that the MH370 debris is close to the 7th arc, but very difficult to detect because of the small pieces and rugged underwater terrain. Hopefully the recent debris finds will add a little additional information. -If landing gear had a problem or an engine stuck in a working mode like in the case of QA32, it would be suicide to land with >30 tons of fuel without emergency rescue on standby. -If the initial problem was not deemed to be very serious, such as loss of communications or problem with ADIRU, landing ASAP at the nearest suitable place could be a preferable choice. In addition, non-operational hours would minimize chance of on-ground collision. -If the purpose was to simulate on board emergency, as ROB suggested, it would not matter whether WMKC was operational or not. You can find many speculative pros and cons of landing at WMKC. Could you please remind impact speed and impact angle (or their ranges) according to your simulations? What a silly request! would 660 kts, 22500 fpm, 90 degree bank be enough? I am doubting whether this impact speed is correct, or whether observed 500 kts was at some mid-altitude, or average. Two reasons: (1) “nose-down-dive” speed would intuitively exceed vertical component of spiral dive, but I can hardly imagine super-sonic free fall; (2) as the weight of the aircraft remains constant while air density increases towards the surface, I would expect to see some decrease in the vertical component, meaning that your mid-altitude speed would be higher than 500 kts. Do you have a plot depicting speed vs altitude for at least one simulation? Another silly question: so the speed increases from somewhat around 500 kts at FL350 to 660 kts at the sea level? I meant the impact angle (the angle between velocity vector and water surface), not bank angle. In other words what were the vertical and horizontal components on the moment of the impact? I think the most likely scenario is depressurization begun at around 17:20,and repressurization one hour later. The 18:25 log-on seems to imply the pilot was satisfied that the other occupants were no longer a potential threat at this time, and consequently didn’t need to monitor the cabin with the video cameras. The pilot would surely have succumbed to hypothermia if the plane remained depressurized any length of time. Then there’s the question about whether any of the passengers could still be alive when he repressurized. It’s a possibility that some of the younger, fitter passengers may have survived, and possibly some of those who had access to the portable oxygen units. Could any of them have been alive when the plane ditched? I believe it’s quite possible. I can also envisage a situation where he terrorised the surviving passengers in the subsequent hours. Imagine it, if you were trying to comfort terrified people in the back, and you knew that if you didn’t stay low, he would depressurize the cabin again. What would you do? You may say all this conjecture is irrelevant. I really don’t know. Dennis – Did you come through a boom time in the California technology hub? The I had no idea it was home to nearly 40 million. Australia not quite 24 million. My own nephew is a metallurgist in the mining industry but Biologists tend to be doing govt research – just my impression. You don’t get rich by understanding the carbon cycle – or not straight away. An old surfing mate of mine is a marine biologist and he has stayed employed by being a bit smarter than the pack. Warren – civil disagreement is an everyday thing here but I don’t quite follow your dogged insistence that these bits are bona-fide MH370. I’m uneasy about that because it would raise questions I can’t swat away as easily as you can. I’m not a Marine Biologist so I won’t get into a barnacle debate with you but the M-B panel have given it the thumbs down at a glance. This should be a concern at least. I would like to compliment everyone, this is the most civil discussion I have seen on the internet. May I submit a couple of links for your consideration? There has been discussion over how clean the wreckage is. Yes, this wreckage is clean. Here is a similar piece found in the Maldives. A transcript of one simulation can be found here: https://goo.gl/H7nvNb Note that the final (at the surface) IAS>500 kts. This was typical. A was told by a high level ATSB official that Boeing simulations were very similar. The Valley has been very active during my entire career there. Most of the EE, math, and CS people in my group were on a visa. It was almost impossible to find a qualified US citizen. You have to admire people who claw their way into being highly qualified in the US when English is a second language. I think you are right about biologists and government work. Not sure what else they would do in the Bay Area. Genentech (bio-engineering) is Bay Area based, but those guys are on a different planet – MD plus PhD typically. Probably bio-physicist is an apt description. Black belt stuff. 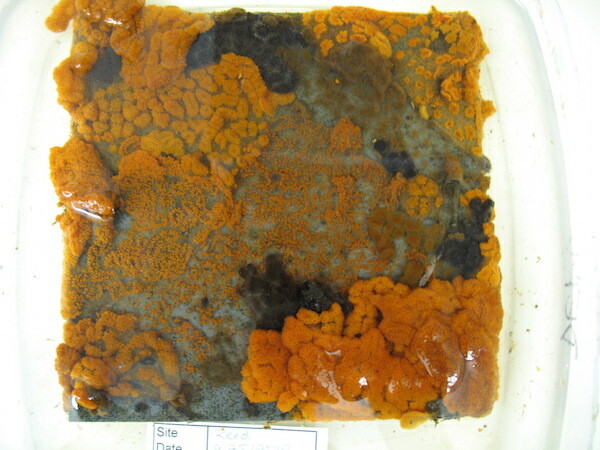 Getting back to debris, I am not comfortable with the barnacle or bio-fouling arguments because there are so many variables. I too feel the debris looks cleaner than what I would expect, but that seems so subjective to me. I would be a lot more comfortable with something that can actually be measured as opposed to a visual impression. Perhaps a reason for a possible (zoom?) climb above 35,000ft at IGARI (if it occurred) might be related to the ppO2 (partial pressure of oxygen) above that height. At sea level, we breathe air at 14.7 psi, of which the ppO2 is 3 psi. At 35,000ft the atmospheric pressure is about 3 psi in total. To get 3 psi ppO2 you need 100% oxygen. Quoted figures vary, but apparently above c. 37,500ft the ppO2 in the air starts to fall below the level at which O2 (even at 100%) will diffuse into the bloodstream under its own partial pressure (gas transfer). It would seem diluter masks (in the cabin) would not work (or not work well) above 37,500ft for an extended period, even at 100%. You would need positive pressure oxygen masks. The FI stated the passenger masks would last for c. 22 minutes each (but these are presumably diluter, not 100%?) and the crew O2 bottles (15 bottles, for 12 crew, capable of 100%,) perhaps might each last an hour (?) at 100% and gentle activity. There were also 50 empty seats, therefore 50 spare O2 masks, plus masks in the lavatories and at each crew station. If the aircraft was depressurised at 35,000ft and stayed at or below that level, it might be expected that someone in the cabin could still be alive an hour or two later – particularly the cabin crew (using bottles, accessing spare passenger O2 masks, crew station/toilet supplies) but perhaps also some of the passengers – that hadn’t already succumbed through being asleep or failing to put a mask on quickly enough – might still be alive (spare O2 masks, the O2 masks of passengers that had already succumbed). Depressurising above 37,500ft for a period of time might ensure that no one survived (even with masks and 100% oxygen bottles) apart from the people using pressurised O2 masks in the cockpit. The temperature drop to c. -50 C would assist in lowering the ppO2 quickly. So any climb at IGARI (if it occurred) might not be about ToUC but rather removing the ability of those in the cabin to survive on oxygen, even if oxygen was available. Turning off the left bus and tie would remove satcom, IFE and cabin lights, removing the ability to communicate with the ground, and see easily (sudden panic/confusion). Q. Would disabling the left bus and tie also disable the cabin pressure sensors that release the passenger O2 masks? A chilling thought if so, but also a (possible?) reason why that bus might have been disconnected at IGARI, if it was. At a cabin altitude of 35,000 the drop down oxygen and portable oxygen is virtually useless. At a cabin altitude above 40,000 feet they are completely useless; you need 100% oxygen under pressure at that altitude (only available in the cockpit). Victor wrote: @Warren Platts: Yes, the metallurgical analysis is a complete waste of time if you have already made up your mind as you have. Some of us are actually interested in whether the evidence supports the present narrative. Victor, that is very unfair. 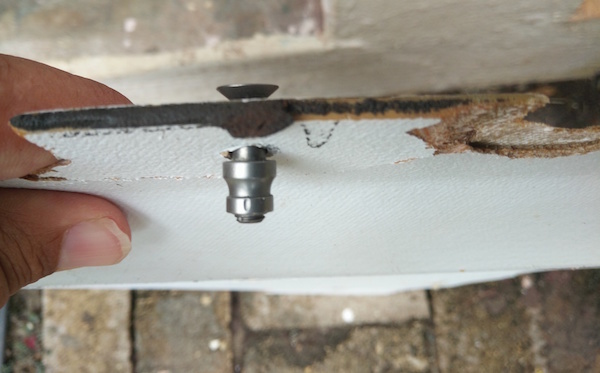 You say you don’t see evidence of corrosion in the object retrieved by Mr. Gibson: I see just the opposite: I see dramatic thinning of metal, followed by breakage and ultimately dissolving away altogether. There are tiny pits everywhere. As for the present narrative: the dominant one that has been driving the actual search on the ground is the one held by the ATSB and the IG, of which you are a member. That narrative is that some sort of weird fire destroyed all coms and killed everybody onboard, but caused satellite logons and logoffs, yet left the autopilot intact, and enough fuel to fly for 7.5 hours. Now, so far we have 4 objects; we can say beyond a reasonable doubt that 3 of these came from the 9M-MRO. Yes of course fecund imaginations can concoct all sorts of doubts about the provenance of these objects, but those are not reasonable doubts. Extraordinary claims require extraordinary evidence. 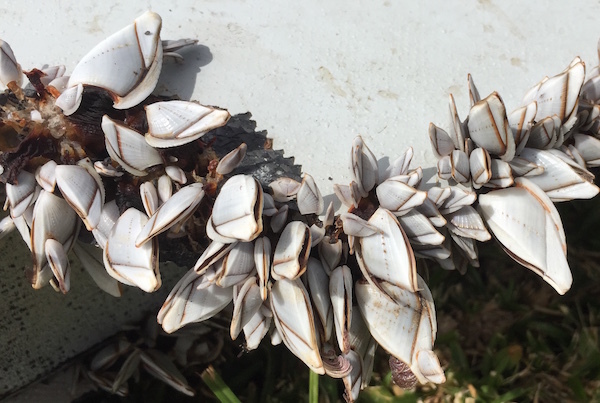 There is nothing extraordinary about variation in barnacle numbers. Of the three parts, two can be precisely located: they both happen to come from the right wing trailing edge, not far from the right engine. The flaperon shows special damage to its trailing edge. Is there reason to expect parts from the right wing to be favored? Not according to the dominant narrative. However, the SOP for ditching an aircraft in seas with a marked swell is to land perpendicular to the direction of the swell. Thus, if the airplane is proceeding to the south, and the swell is moving to the east, then the swells will be moving toward the aircraft’s left: thus it is likely that the right engine would be the first part of the aircraft to touch water, taking the brunt of the impact. There is another–probably the most important–fact about the debris found so far that does not support the dominant narrative: the sheer number–or rather lack thereof–of objects. M Pat’s study based on actual drifting buoys shows that ~ 22% of objects that drift through the broad, likely crash area eventually become beached somewhere in the Indian Ocean basin within 42 months. Of this population, the average time to beaching is 18 months. It’s now been 24 months. 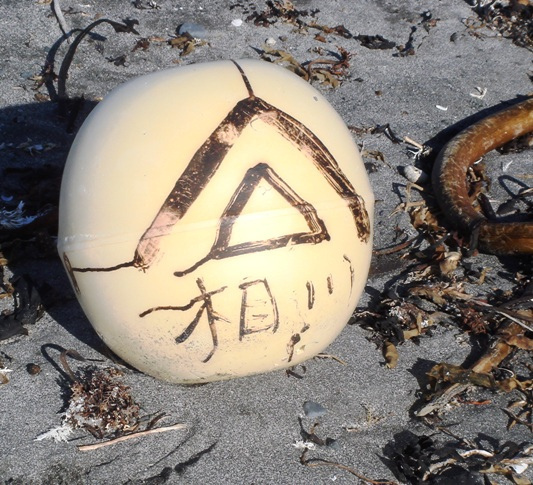 In round figures, roughly 18-20% of all floating debris should have washed up by now. 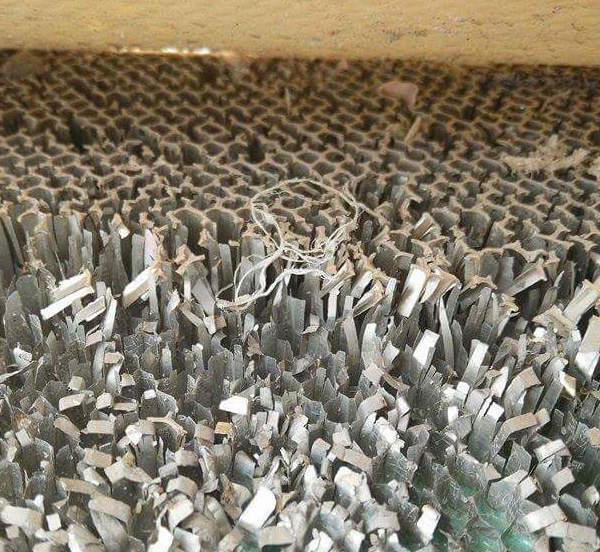 In Duncan Steel’s last post, he claimed that the original debris field should have consisted of “thousands” of objects. Since “thousands” is plural, let’s call it 2,000 objects. 20% X 2000 = 400 objects. 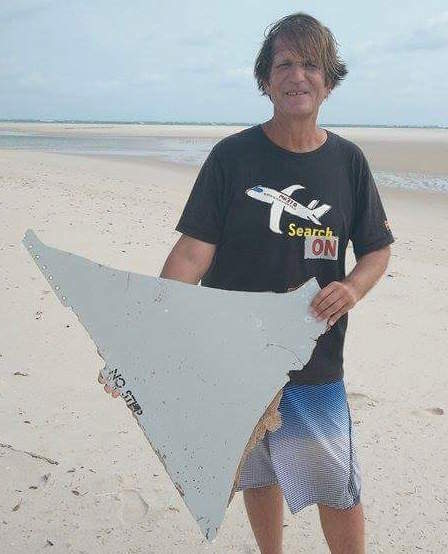 OK, I’ll buy his argument about how the original debris field may have drifted out of view of the early aerial search; but if there were “thousands” of parts in this debris field, we should see hundreds of parts on Indian Ocean beaches. We have seen 3 or 4. Yes of course there are no doubt more debris objects to be found, but probably not a lot more. And yes, Africa is a 3rd world place where the people who live there actually have lives and don’t have time to obsess about MH370, so we should expect some debris to be overlooked. However, there have been formal surveys, at least on Reunion, Mauritius, and most recently Mozambique. Nothing else has turned up. If we take the separation of the “NO STEP” and “676EB” objects to be roughly 150 miles, and judging from M Pat’s printouts, there are maybe 1500 miles of east African coastline, including Madagascar where the drift buoys were concentrated. So perhaps there are 20 debris objects (which is quite possibly an overestimate) that have been overlooked. I can see that, but not hundreds. Then there’s Western Australia. According to M Pat’s study, 4% of objects should wash up there. 4% X 2000 = 80. I’ll take Matty-Perth’s word for it that pretty much any debris that washed up on WA would have been found. I can see one or a very few slipping through the cracks, but not 80 or more. Thus, the actual physical evidence so far indicates an original debris field with a population on the order of <100 objects. This is not consistent with the dominant narrative. So we have a choice: (1) reject the dominant narrative, or (2) reject what little physical evidence there is. That’s quite a dilemma, isn’t it? Because you have to reject the dominant narrative anyways due to the lack of more debris–not to mention the failed underwater search effort. So if you reject the dominant narrative, you are really only left with two broad narratives, leaving aside aliens and evil tiger spirits: both of which involve nefarious intent and murky motives, but one requires a vast, Tom Clancyesque conspiracy that would probably require nation-state actors to pull off, whereas the other only requires one crazy person. The sole physical evidence–if accepted at face value–is consistent with the latter narrative. The latter narrative has the added advantages of being the more parsimonious, not to mention being able to, you know, make actual, concrete predictions about where to look for the aircraft? The most recent Science magazine just came out with a special issue on “forensic science”. I highly recommend checking it out, especially the parts about forensic science’s checkered history littered with junk. The sole physical evidence we have should not be rejected on the basis of junk science. @airlandseaman: I wasn’t trying to quote you directly, as should have been obvious. I was merely trying my best to capture your thinking – in CONCEPT – as it would have existed back when you were calling for the search box to be widened 11 months ago. “Baseline Assumptions”: All assumptions (2nd engine flameout time, alt, & speed) as reflective of the latest published information as possible. It suggests Arc 7 was generated at FL(173), with impact 40 seconds later, 4.53 nmi away. “Stretched Assumptions”: All assumptions, while still within the range of plausibility, have been altered with a view to maximizing the distance between impact and Arc 7. It suggests Arc 7 was generated at FL(312), with impact 70 seconds later, 8.12 nmi away. Crowd-sourced peer review of the attached model is, as always, warmly welcomed. If it is anywhere close to being accurate, then anyone still clinging to the unpiloted spiral to impact scenario must admit that they were either wrong to call for the widening of the search box a year ago, or to ask us to deem “steep impact angle” a plausible explanation for dearth of debris now. @ Matty: if Putin did it, the NSA, GCHQ, and the PLA would know about it. President Obama has zero reason to cover Putin’s arse in this regard. @Warren Platts, I see you fighting with all your might to deny the implications of the evidence of your own eyes as well as the testimony of experienced biologists who have chosen to focus their careers on precisely this topic. You are motivated to believe what you want to believe; so be it, we all see the world through different lenses. Soon, hopefully, experts in Australia will be able to examine the piece close up and render an official verdict. You’re setting out a straw man with your talk of a “dominant verdict.” As I’ve been trying to clarify over the last few blog posts, the absence of seabed debris leaves only two viable options: intentional self-destruction by the pilot, or a sophisticated hijack. Whether or not you find one of these unsuitable “Clancyesque” for your tastes is irrelevant; the fact remains that pending further data, either is physically possible and conforms with the radar, Inmarsat, weather, and performance data. One set of clarifying data should come in soon. If 676EB is validated as a piece of a 777, and the marine biologists on the official team (or metallurgists, or what have you) say that it could not have floated in the ocean for two years, then scenario in which it detached during a crash in the SIO and floated innocently to Mozambique will be effectively ruled out. @Warren, You wrote, “if Putin did it, the NSA, GCHQ, and the PLA would know about it.” It’s fruitless to speculate who would have known what and what their reaction to it would have been. You yourself have had access to the same information as Matty, yet find yourself unable to credit the implication that Matty (and I) find obvious. Much discussion on job prospects for a “marine biologist”. Hirohito was Emperor of Japan from 1926 until 1989. He was also a noted marine biologist. I guess you could say he had a government job for life. @Warren Platts: You have misrepresented my view as well as the IG’s view in so many ways that I won’t try to sort it all out. I’ll simply point out that you suggested that “the sole physical evidence we have should not be rejected on the basis of junk science.” It was my recommendation that the proper metallurgical analysis should be performed to determine the duration of time in saltwater. I never suggested rejecting any evidence, nor did I propose junk science. On the contrary, it was your suggestion that the metallurgical analysis was a waste of time. 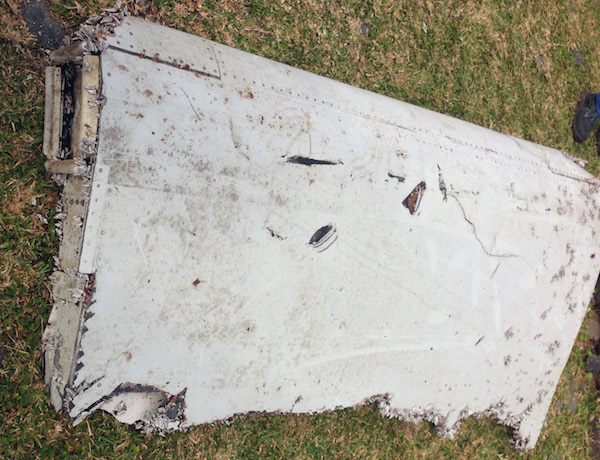 As for whether the aircraft shattered from a steep descent or whether less damage resulted from a ditching, I have been silent on this while we wait for the determination, if any, from the flaperon analysis. Over-plotting SIO sea currents, with the early satellite sightings of debris from March 2014, one observes that whatsoever the Chinese & Australians found near 90E,44S would naturally circulate around the IO and encounter places like Perth, Reunion, and Mozambique. All known possible finds thereat, disputed or otherwise, derive from the same sea currents as the debris initially detected early on, by the above. That initial search area was far to the south of the 8:11am ping ring, and the debris pieces quite large, all of which sounds more like a protracted controlled glide with a softer landing? That search area would have been impacted, by a flight travelling straight on a course a couple of or a few degrees W of due S, from waypoint IGOGU. If power was interrupted about 8:15am due to double engine flame out, is there any chance that power could have been restored due to one engine somehow restarting? 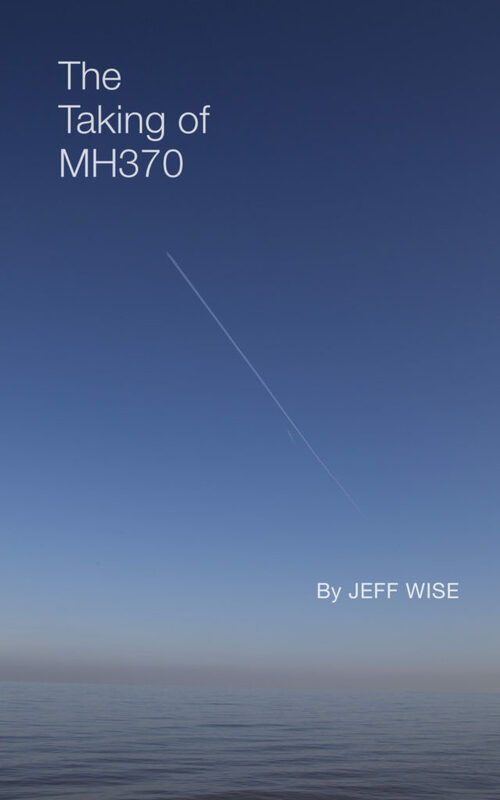 Could MH370 have flown for most of another hour, on one engine ?? You are trying my patience, Brock. You admit making up the ridiculous fake quotes attributed to me. That’s good. But then you knowingly continue to conflate the controlled and uncontrolled cases to generate entropy and nothing more. You know exactly what I have said, so stop trying to misquote me and stir up controversy where there is none. For innocent bystanders: close to the arc means about ±20NM. That is where MH370 is if there was a steep descent consistent with ALL of the skimpy data we have, the Flapperon analysis and the simulator results. There is no data whatsoever to support an extended glide under human control scenario, but it is technically feasible. If you can’t understand how these statements are both true, then I give up trying to explain it to you. @Gysbreght – Surely the most obvious explanation is that those pieces came from Ethiopian Airlines Flight 961, a Boeing 767-200ER, which crash-landed on 23 November 1996 in the Indian Ocean near Grande Comore, Comoros Islands, due to fuel exhaustion after being hijacked by three Ethiopians seeking asylum in Australia. According to the following website, supplying speed data for SIO sea currents during March 2014, drift velocity was of order 30km / day, or about 300km in the 10 days from 8-18 March when the Chinese satellite imaged the object near 90E,44S. Drift would have represented a few degrees on the earth’s surface, hardly a major difference but requiring a flight trajectory slightly more W of S.
Thank you for the ROC plot versus altitude. I have found several others that are specifically for the B777-200ER and I wish to compare them with yours. What brake-release weight did you assume? “Could any of them have been alive when the plane ditched? I believe it’s quite possible. “Irrelevant”? How about a menacing comment that was cruel, disrespectful and totally unnecessary. @airlandseaman: It seems to be “slay the paper tiger” week at jeffwise.net. I am not arguing for ANY scenario – certainly not a controlled glide. Please do not instruct “innocent bystanders” to believe that I am. All I’m asking – politely – is that you clarify for us which of the two beliefs you held circa April, 2015 – was it closer to 4), or closer to 5)? @ROB: Susie is right. There is no need to set off people’s triggers. When discussing the ditching scenario, there is no need to discuss what was going on in the airplane, or to mention the words “pilot” or “suicide” or “murder”, nor to mention any names, nor to even say “he”, because for our practical purposes it doesn’t matter who or what was at the controls, only that there was control. @Victor: Thank you for your thoughtful reply. Yes of course nobody knowingly proposes the use of junk science. But just think about what “the proper metallurgical analysis” would even be like. It’s not that easy. There are too many variables, and no controls. 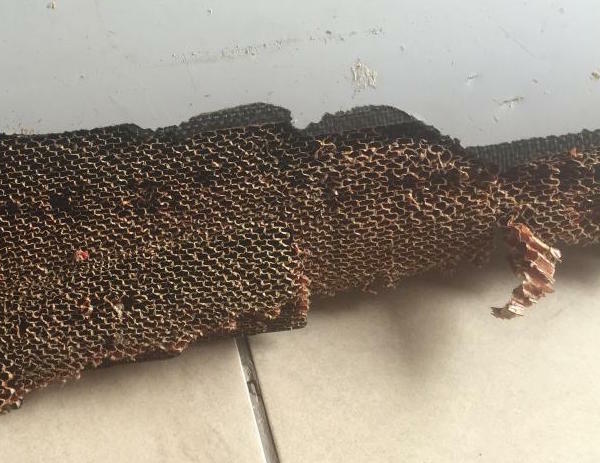 You can’t just borrow a chunk of honeycomb from Boeing, stick in the Seattle harbor for a month and expect to get meaningful results. The total amount of corrosion is going to depend on things like: (a) salinity; (b) temperature; (c) presence or absence of marine life; (d) whether marine life speeds up or slows down the rate of corrosion; (e) how to disentangle the effects of corrosion versus sand abrasion; (f) how the mechanical structure of the part evolved over time; (g) how long was the part in a littoral environment versus a pelagic environment; (h) how long was the part sitting high and dry above the high tide line; (i) how to account for apparent variation of corrosion within the part itself. At the end of the day, all you’ll wind up with some sort of semi-plausible just-so story. And let’s say one committee of government scientists say the aluminum looks like it’s been corroding for only two weeks. Does that prove that beach salting is going on? Nope. 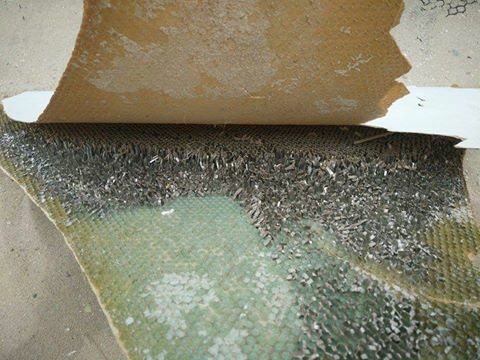 It could be beach salting; or it could be that the skin on the exterior protected the honeycomb structure for two years, and only became detached two weeks before Mr. Gibson found it; or it could be that the government committee is simply mistaken. It is possible that scientists make mistakes. More likely you will be told there is no way of telling for sure; or that the error bar is too big to be useful. Either way, we’d right back to where we started…. Or the committee would say that the state of the aluminum is fully consistent with a drift of two years. In which case, would that settle the issue? Nope. Other people–not naming names–will generate huge spreadsheets and Monte Carlo drift simulations that will take into account scads of oceanographic data and corrosion rates estimated for dozens of aluminum alloys and will come to the conclusion that the it would be physically IMPOSSIBLE for the object to have innocently drifted all the way to Mozambique. One must beware of the illusion of technique. More data does not always give better answers. Look, the real problem is time. There is only time and funding for a few more months of the underwater search. Given this crisis, what must be avoided at all costs is prolonged analysis paralysis. We’ve got to stop this constant mulling and thinking and mulling over every minute possibility…. The pragmatic thing to do right now is to simply take the physical evidence, such as it is, at its face value: few pieces, trailing edge damage. This is consistent with a ditching scenario; therefore, the search should be moved to the south and west a la Byron Bailey while there is still time. Meanwhile, a proper metallurgical analysis can be conducted in parallel. If it later turns out that the parts prove that a sophisticated hijack occurred, no harm will have been done that wouldn’t be done anyways because they’re going to continue the search until the contract runs out no matter what. Again, apologies for the garbled argument. I will never type EITHER character again! while we wait for the determination, if any, from the flaperon analysis. There is a school of thought that if the loss of MH370 was not the result of a mechanical problem, then there is no need to find the aircraft because there would be nothing on the B777 that needs fixed. It is possible that the French authorities holding on to the flaperon belong to this school of thought. If so, if the French experts determined that Exner’s flutter hypothesis is unlikely, and that the trailing edge damage and actuator positions are consistent with a ditching scenario, would they make this finding public? Maybe not. They would know that any finding would be a “probably”, and not a “certainly”. For them, moving the search to the south and west would be pointless. Better to let the search based on mechanical problems play out to the bitter end. If it comes up negative, there’s no point in searching anywhere else, thus no point in prodding the ATSB to modify the search strategy. Many items have been sighted… and burned ??? @OZ, thanks for the hint and the information re: the oxygen masks above 35000ft FL. A pilot with experience and training is needed for some valuable input here. I may have been hasty in my declarations. Maybe RetiredF4 might chip in re: hypoxia scenarios. @Erik Nelson, while it can’t be ruled out that debris from the plane wasn’t reckognized and was irreversibly destroyed – not just at La Reunion – many of what is said in this article has been discredited since. There’s a lot of inaccuracy in it. Especially the idea that the flaperon has been around for a while and that the barnacles were first alive and later dead, can’t be true. 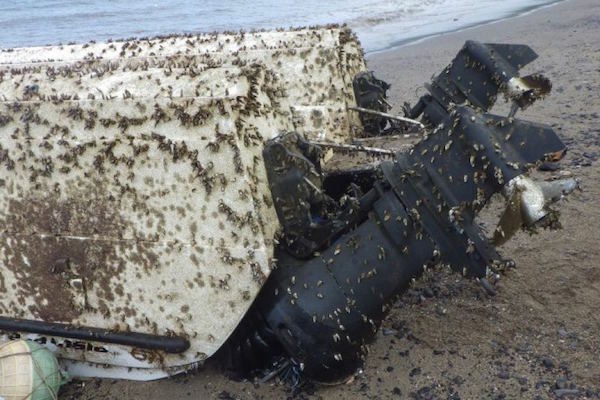 The photos of the flaperon prove that the barnacles were clearly still alive when the pictures were taken. Barnacle specialists have confirmed this. The flaperon must’ve been found within hours after it’s landfall by the local beach cleaning brigade. Other items which turned up at La Reunion and were touted prematurely as plane debris were later ruled out.